A Scroll Scan feature allows the compact all-in-one printer to capture images from a variety of papers so it will be easy to make a digital copy of school requirements. It also has HP ePrint, Apple AirPrint and Wireless Direct Printing that make for effortless printing of documents and photos from any Apple, Android, or Windows-enabled devices. HP similarly re-introduced Original HP inks. 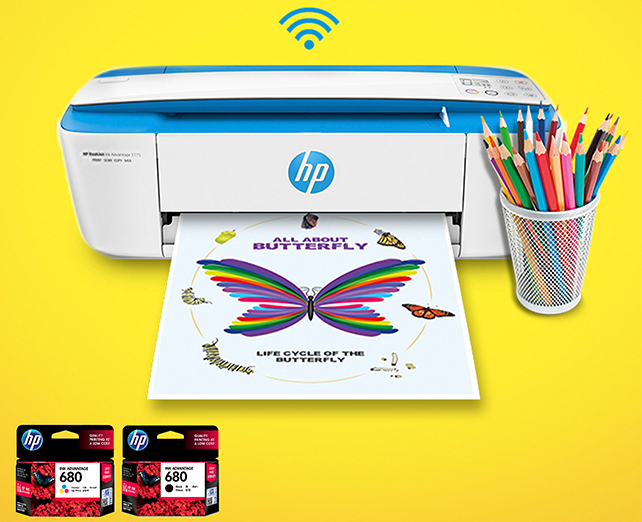 A free pack of HP Snapshots photo paper and Original HP ink come with every purchase of HP Ink Advantage 3777 and other participating HP DeskJet Ink Advantage printers.